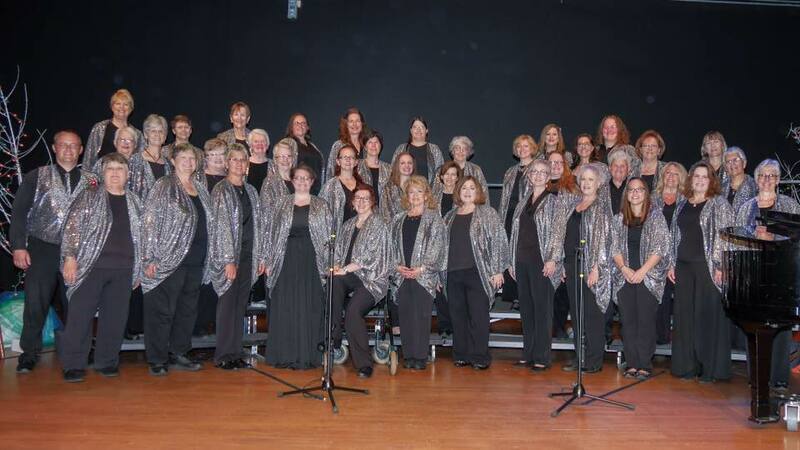 SisterSound is Lexington’s community choir for women. We seek to provide a musically creative atmosphere for women who love to sing, while celebrating diversity and acceptance. We welcome all women who are able to match pitch and are interested in honoring our philosophy. We would love to have you come and join us. Rehearsals are Sunday evenings, 6:00 – 8:00 pm, in the choir room at Centenary United Methodist Church on Tates Creek Road. For more information call (859) 806-0243. SisterSound is a non-profit corporation, incorporated under and pursuant to the laws of the Commonwealth of Kentucky. As such, our business and general affairs are under the management of our Board of Directors. Board meetings are held monthly and the general membership of the chorus is invited to attend. Elections are held annually during the general business meeting of the chorus. Each member of the board serves a two year term. Tina has been happily singing with SisterSound since 2014 and has been involved with many aspects of helping to support the choir, including fundraising, marketing, and website support. Tina is looking forward to serving as SisterSound's Board president this season. When not singing, Tina is a UX Designer at Lexmark. Rachel has been singing her entire life, but first joined a choir in 5th grade. She has gone on to be in church, community, and school choirs as well as receiving choir scholarships to Lincoln Memorial University and Union College. When not singing, Rachel homeschools her two children, serves on the board of Lexington Independent Homeschool Co-op, and runs the bookstore at the Unitarian Universalist Church of Lexington. Rachel has been a member of SisterSound since 2016. Sue has been a member of SisterSound since the fall of 2002 and has been on the Board of Directors in several capacities. She finally found her niche as Treasurer, where she keeps a tight rein on the purse strings. After working at UK for 40 years, Sue is contentedly retired and spends time working on genealogy, singing with the OLLI chorus, reading, socializing with friends, and attending grandchildren's activities. Barb has been singing with choral groups since grade school, from high school chorus to college glee clubs and several different community groups. She joined SisterSound in 2017 and was elected to the Board in 2018. Barb works full time at Eastern State Hospital, teaches and practices yoga, and enjoys gardening, animals, and travel. Kelly joined SisterSound in fall of 2015. She's a frequent soloist, has helped with fundraising and singing at community outreach events and is proud to be a contributing member of the board. She's an engineer and mother to an amazing 3 year old boy. In her spare time she likes to cook, garden and do craft projects. She looks forward to many more years singing with SisterSound. Jeanie Hartman has been a part of SisterSound since 2016 as a first soprano. Sister Sound had their concerts at a location where she was an event liaison. Working with the group was so fun, she joined them. She has sung all her life in church settings and is a second soprano in Episcopal Church of Saint Michael's Chancel Choir under direction of Ruth Witt. She works at UK in Behavioral Health Research. Outside of work and singing she creates costumes and props film and theater, loves to read, and garden.